Right kids - who's sick of being sensible with money in austerity January and ready to buy some delightful household nonsense? 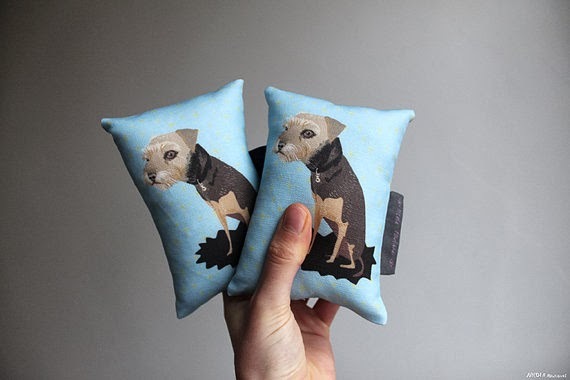 I say "nonsense" in the nicest possibly way, because everything Ms Spanner makes is guaranteed to brighten up your life. You'll get change from £20 from everything below. 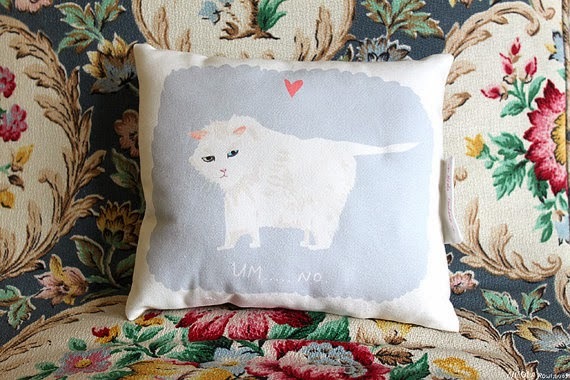 This grumpy cat pillow is saying what every cat says to every request: "um... no." He's £13 and is guaranteed not to shed all over your sofa. Cooking can be an emotional business. Especially when you've poured a whole bottle of wine into your Drunken Spaghetti and forgotten to leave any for sampling. Quick - to the corner shop! 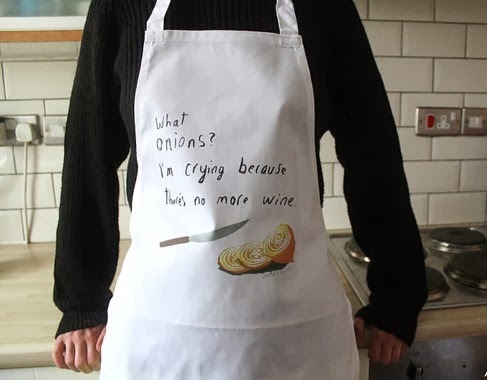 This emotional apron is £18. It's Monday. 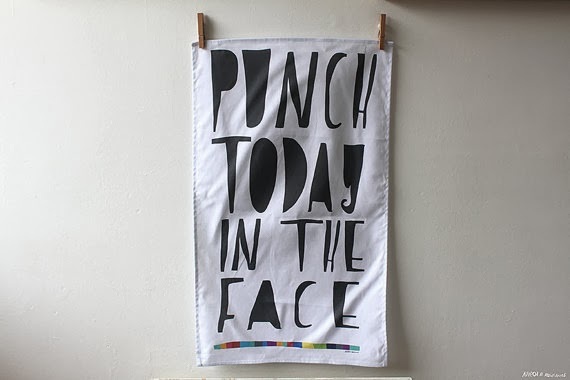 Punch every Monday in the face. This tea towel is £10 and would be equally at home by your sink or on your wall. If you'd be comforted by carrying a totem in your pocket, then choose between a pocket manfriend (this is Eric, he's a graphic designer, enjoys combing his beard) and a pocket kitty (this is Chloe, who presumably enjoys sleeping and chasing balls of foil, like all cats). They're made from clay and painted with acrylic and gloss. 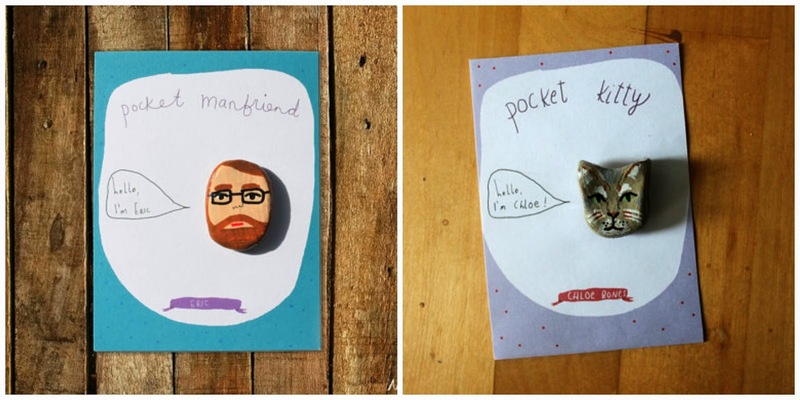 Eric and his manly friends are £7, while pocket kitties are customised from photos of your cat and cost £13. I'm absolutely getting one of my idiot cat Swinton to coo over. 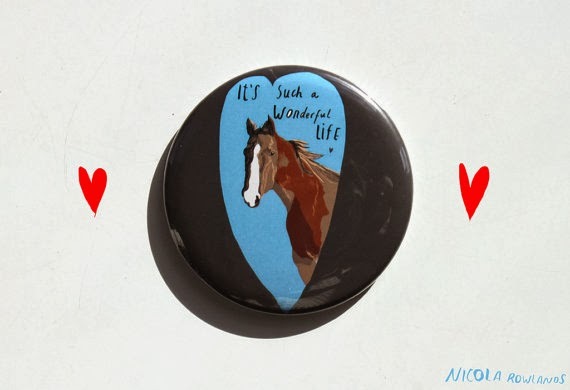 ...and a pocket mirror with a horse on it saying "it's such a wonderful life". So true, Mr Horse. He costs a mere £3. Go explore the whole shop - I haven't even touched on her bags, tattoos, prints and postcards. Even better, spend over £15 and you'll can choose a free tote bag. Hint: the taco kitty one is best. Isn't it glorious? I'm besotted with everything. Thanks again for featuring my etsy shop. Made my day! You're welcome! It's utterly wonderful.